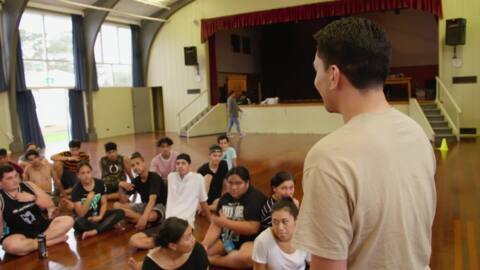 In this series we meet the whānau of Ngā Puna o Waiōrea, one of the country’s top Māori immersion units based at Western Springs College in Central Auckland. Available On Demand. The team have concerts in the riverside town of Vistula. But the workload of rehearsals and evening showcases takes a physical toll on the students as they prepare for the finale gala before an audience of excited locals. Students and staff continue to strive for excellence as they tackle the enormous workload before them less than a month out from their departure to Poland. 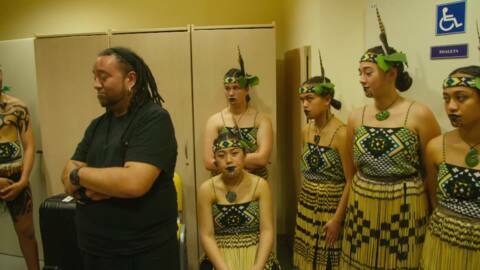 The opportunity to travel to Poland to perform in a cultural festival but the toll on the students is evident as they juggle practices on top of school work, and fundraisers to get them to Europe. 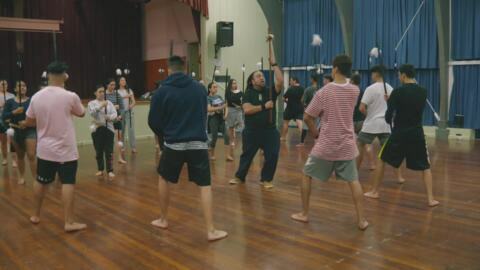 We meet key staff and kapa haka tutors from Ngā Puna o Waiōrea, one of the country’s top total immersion Māori units based at Western Springs College in Central Auckland.